Sign up, spend $50+ and get 15% + free shipping! What an incentive to sign up! Savings, free shipping, SCORE! 15% off the entire site so splurge a little! Military and First Responders! Thank you for your service with this deal! 20% Off Swanson Brand, plus free shipping on orders $50+! Supplement your goals with some health products! 15% off products to help you hit your resolutions! Don't give up yet. We got your back! Clearance deals at their lowest prices! Our loss is your gain so help us clear out! New customers get 25% off and free shipping for orders over $25! Until january 31, 2019! So act fast if you're new before you have another regret! Support Vitamin Angels by being one - donate! Every bit helps and our angels would really appreciate! Add to your order now! Everyday prices up to 80% off! That's right 80% - check now for these online only sales! Swanson Health - your best resource at the lowest prices. Save and get better - two things we all want! 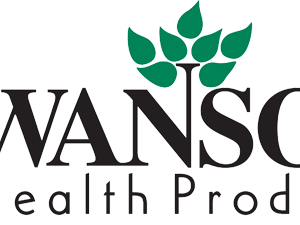 Swanson Health Products is an internet marketing company and natural health catalog with headquarters in Fargo, North Dakota. Since 1969, it has established itself as a trendsetter in the health and wellness niche, supplying its products to almost every corner of the globe. The store currently accepts a wide range of payment options including MasterCard, Visa, Discover, JCB, American Express, and Amazon. PayPal is only accepted for US orders. Typically, orders take between 24 to 48 hours to be processed and prepared for shipping. However, this varies depending on the availability of an item, payment issues and the volume of your order. The company also sends order confirmation emails within 24 hours to update you on whether your ordering process was successful or not. Their shipping time frame is between 4 to 6 business starting from the day an order is confirmed and shipped. After an order is shipped, a confirmation email is also sent to the customer. If you don’t receive this confirmation email 2 days after you’ve successfully made an order, the company’s website advises customers to contact a customer representative for updates regarding their order. NB: Due to the nature of some of the products in this company’s inventory, the shipping of some products and ingredients are restricted to certain parts of the world. Other items like alcohol and lithium are shipped using ground transportation methods and this can delay delivery. First and foremost, sign in to your shopping account. Once the page is open, you will see a blank box asking if you have a code. Enter your code in that box and check out to enjoy the promotion. For communication purposes, the company has several avenues from which you can contact customer support in case you have a question, suggestion or general comments. Live chat: If you are looking for a fast response, there is a live chat feature on the site. This is available from Monday to Friday between 6am–11:30pm CT and 8am -11pm CT on Saturdays. Telephone: Customer support can also be reached via phone through the numbers listed below. Calls can be made Monday to Saturday between 7am–to Midnight CT.
Email: Tickets can be sent via email to customercare@swansonvitamins.com from 6am–Midnight CT, Monday to Saturday. If you have ordered an item and you are not satisfied with it, Swanson health facilitates for you to make a return. You are required to return the unused portion of your product within 30 days after a delivery is made. It is actually one of the few companies that allow customers to return portions of already used products. To return a product, create a return address label and follow the process outlined in the company’s website. Besides tracking orders, the company has a provision on their website to track returned packages. You will be issued with a tracking number when returning from which you can frequently get updates on the progress of your return package. If you successfully make a return and qualify for a refund, the money can only be deposited in the original account that made the purchase. The whole return process takes about two weeks after your returned product has been received.